Here's a first look at the new collection from the Sheila Bownas archive which will be released next month. I wrote about the story behind the Sheila Bownas archive last year on Design Hunter. You can find out more here if you missed it. 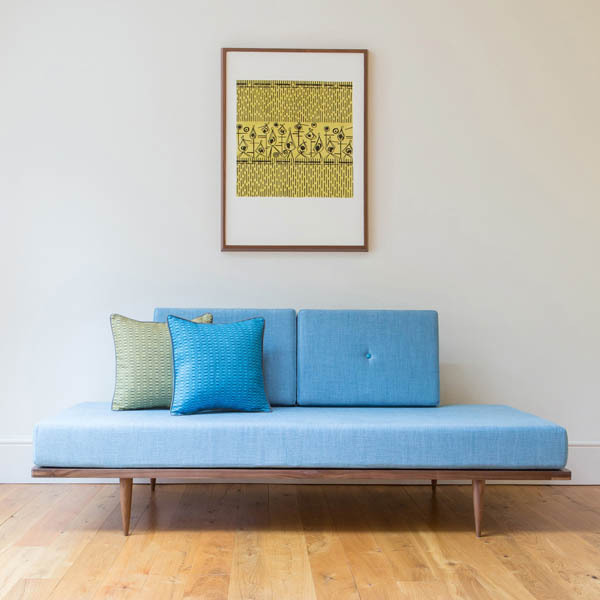 Now Chelsea Cefai who uncovered the archive has collaborated with furniture brand Parlour to produce a sofa inspired by the daybeds of the 1950s, featuring the 'Edwin' pattern designed by Sheila Bownas in the late 1950s. 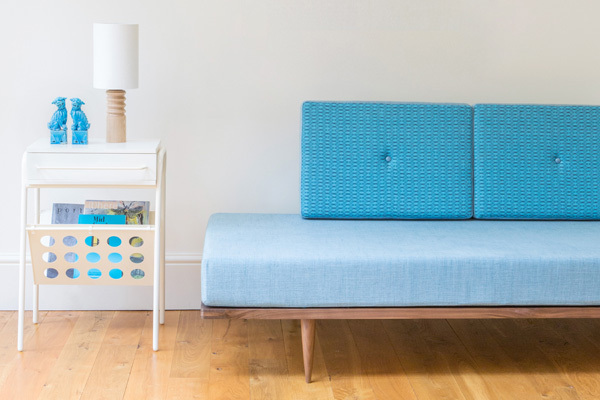 The sofa, which is handcrafted in the north east of England from rich solid walnut, is a celebration of traditional craft and mid-century design heritage. It's shown above with 'Otto' a another design from the archive which is being released as a limited edition print. The new collection also includes cushions and fabrics in the 'Edwin' pattern which will be available in a range of colourways. To complete the range Chelsea collaborated with Zoe Darlington to produce a set of table lamps with linen inner shades in the same pattern. The collection will be available online from Monday 11th November and will go on show at Midcentury Modern Show at Dulwich College on Sunday 1st December 2013.